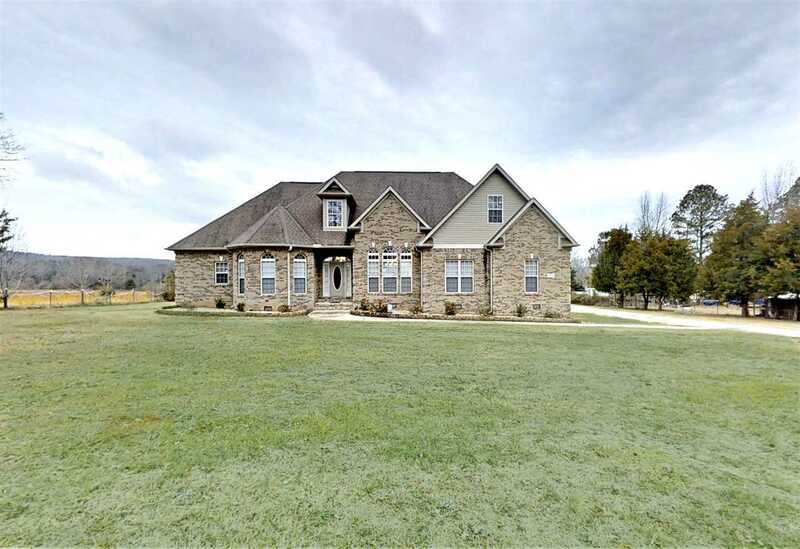 Custom built home on over 3 acres! Extensive crown molding and gleaming hardwood floors throughout the main living areas and master bedroom. Huge isolated masters suite with large walk-in closet, private bath with separate tub and shower and tons of storage. The 3 secondary bedrooms were all designed with privacy and organization in mind. Large gourmet kitchen features granite, decorative tile, built in computer station, eat in breakfast area and is conveniently located close to the formal dining room. The amazing feature of this house is the huge flex space upstairs! This room could be a rec room, media room or home gym. Tons of storage and a 5 car garage! Very Private location.